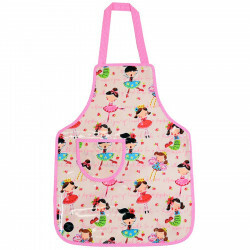 Nice little pink apron for child made of (without phthalate), with little figurines. 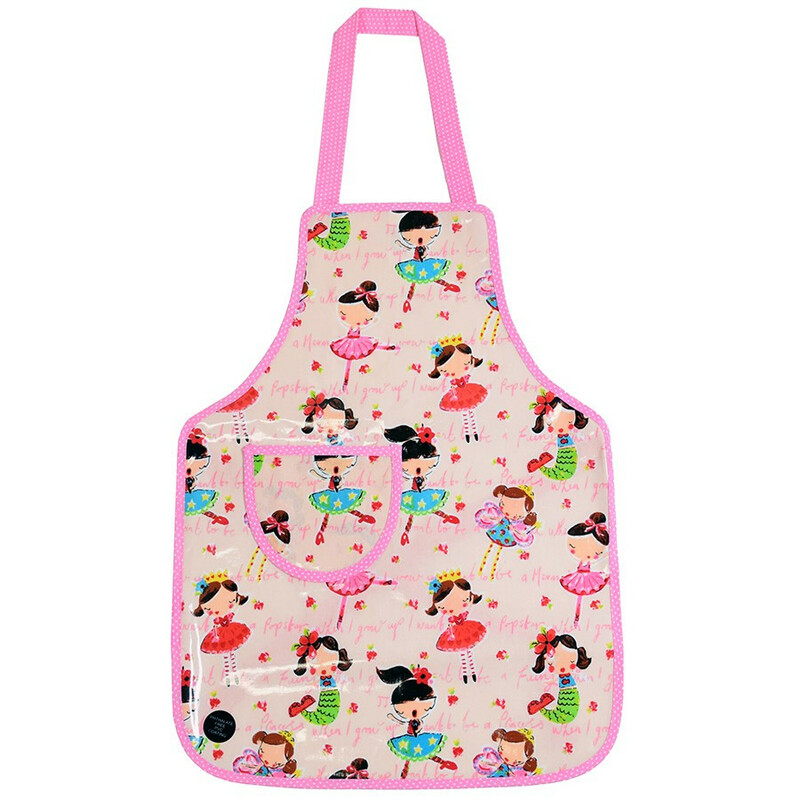 Your young girl don't wants to play dinette anymore and she would like to cook like the big ones? This apron would be the perfect aid against staining. Ideal for chils from 3 to 6 years old. 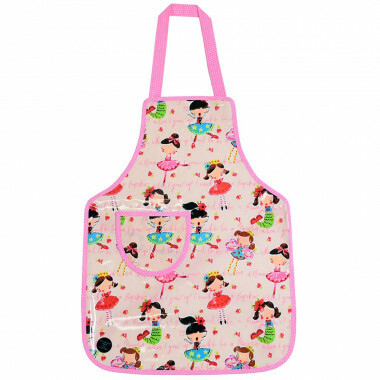 Apron made of PVC, without phthalate. May clean it with an damp clothe.